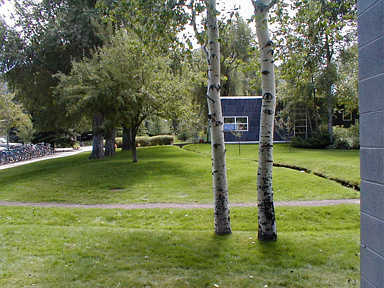 Chivukula and Simmons were among the co-organizers of the 2011 Aspen Winter Conference on High-Energy Physics: New Data from the Energy Frontier. The search for new physics at the TeV scale is entering an exciting era with many new experimental results emerging from the Tevatron's last run and the LHC's first -- as well as from a variety of searches for new astrophysical and cosmological indicators. This conference brought together experimentalists and theorists to present new results and ideas, creating an atmosphere that encouraged the close collaborations and active discussion that are crucial for making progress at the energy frontier. Chivukula was an organizer of the 2010 Aspen Workshop on Strong Dynamics Beyond the Standard Model. As the experimental program at the Large Hadron Collider (LHC) explores the TeV energy range, there is potential for the discovery of new strong interactions beyond the QCD sector of the standard model. Strong interactions arise in several promising extensions of the standard model, which are being actively explored in the particle theory community. The workshop brought together particle theorists working in (1) lattice field theory and simulation, (2) non-perturbative gauge theory dynamics and (3) string/gauge duality to explore fundamental mechanisms and their generic consequences for phenomenological signatures. Simmons is a member of the Program Committee of the Rencontres de Blois, an annual high-energy-physics and cosmology summer conference that is held in the Loire Valley. 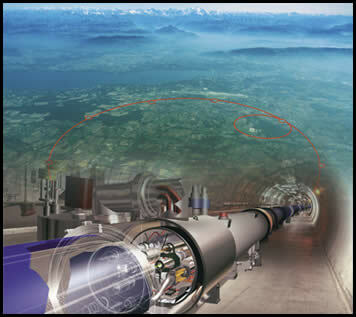 The 2010 conference was entitled First Results from LHC and the 2011 workshop was named Particle Physics and Cosmology. The workshops draw physicists from Europe, the Americas, Asia, and the Middle East, including many younger physicists and scientists from developing nations. Participants traditionally visit the nearby mansion Clos Luce', home to Leonardo da Vinci during his final years, in order to see the life-size models of many of his most famous inventions and reflect upon his contributions to science. Chivukula is involved in the LHC Theory Initiative. The LHC Theory Initiative is a program to provide national graduate and postdoctoral fellowships to support LHC-related theory. Unlike our European colleagues, the US theory program has not emphasized theory related to collider physics -- this despite the Tevatron's decade plus reign as the energy frontier collider facility. A successful US LHC program must include a substantial theory component, to complement the extensive investments in the LHC experiments. The LHC fellowship program is modeled on the successful SSC fellowship program funded by the state of Texas in the years prior to 1993, and aims to ensure that the US maintains a vibrant and successful program in collider theory over the twenty year lifetime of the LHC. Simmons, in collaboration with Chivukula, organized the week-long seminar at the Radcliffe Institute focusing on Higgsless models of electroweak symmetry breaking and their observable consequences at the LHC. 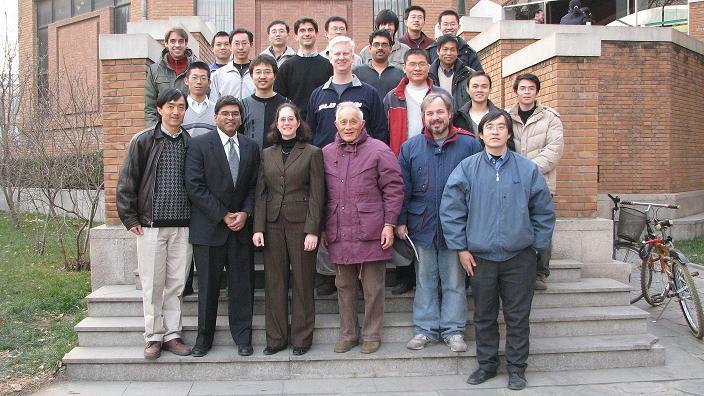 Chivukula and Simmons, accompanied by their postdoctoral associate, Neil Christensen, and two of their graduate students, Baradhwaj Coleppa and Stefano Di Chiara, traveled to Beijing, China, from Dec. 10-17, 2006 to visit the Tsinghua University Center for High-Energy Physics. Their hosts at Tsinghua University included Prof. Hong-Jian He, a long-time collaborator of Chivukula and Simmons, and Prof. Yu Ping Kuang, a member of the Chinese Academy of Sciences. Simmons is a general member of the ACP, and has served as a trustee, corporate secretary, and scientific secretary. Aspen Center for Physics Wu-Ki Tung Symposium, May 12, 2007. Chivukula, in collaboration with Chip Brock and C.-P. Yuan, organized the Wu-Ki Tung Symposium held on May 12, 2007.